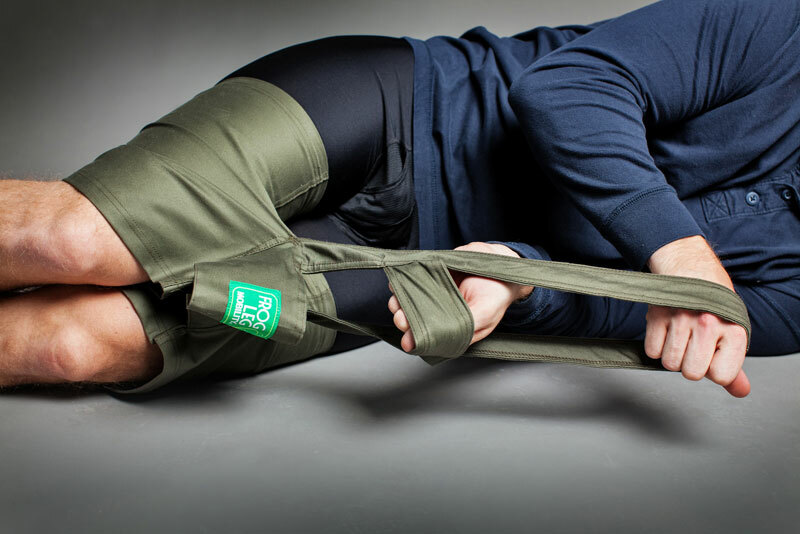 The Leg Lasso is lightweight and durable and allows users to reposition their legs when they spasm or become uncomfortable. They can be used while lying down, which eliminates the need to sit up or thrash around in order to roll over. Originally designed for spinal cord injury, they are effective for anyone with limited lower body or leg mobility such as multiple sclerosis or muscular dystrophy. Perfect for anyone who is concerned about bedsores, or who has impaired use of their hands. Frog Legs give you the chance to be more independent. Available in two colors: black and forest green. 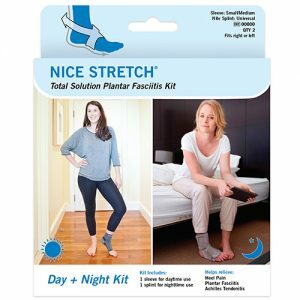 The Nice Stretch Total Solution kit provides 24-hour support and pain relief to ankle, arch and heel to help provide round the clock treatment for plantar fasciitis pain. Daytime sleeve for balanced compression that’s comfortable enough to wear all day. Plus a nighttime splint for gentle stretching. Available in S/M and L/XL sizes.